"I am a sailor on horseback! Watch my dust! Oh I shall make mistakes a-many; but watch my dreams come true…try to dream with me my dreams of fruitful acres. Do not be a slave to an old conception. Try to visualize what I am after." 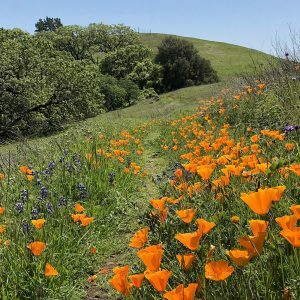 Valley of the Moon Natural History Association (VMNHA) was established in 1977 to support the interpretive needs of three Sonoma County Parks: Annadel State Park, Jack London State Historic Park (JLSHP) and Sugarloaf Ridge State Park. VMNHA has played a key role in the recruitment, training, management and retention of volunteers who carry out the essential functions of these parks. VMNHA has also contributed funds to support cultural and recreational programs and create educational exhibits, displays and signage at JLSHP. Among the organization’s accomplishments is the award-winning restoration of the cottage Jack and Charmian London lived in after acquiring Beauty Ranch at the turn of the 20th century. In May 2012, VMNHA, doing business as Jack London Park Partners, (JLPP) became the first non-profit to enter into an operating agreement with the Department of Parks and Recreation (DPR) to prevent a park from being shuttered. JLPP receives no funds from DPR to subsidize the management and operation of the park and depends entirely on private donations to provide programming, administer operations and maintain the grounds and historic structures. Preservation, Education, Collaboration, Recreation, Innovation, Sustainability and Regeneration. 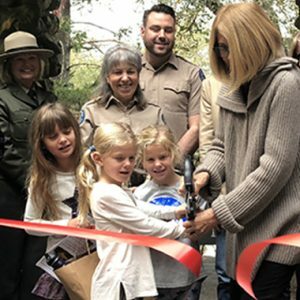 Jack London State Historic Park: an innovative park that preserves the dream, enriches the experience and serves the community. We preserve the historic and natural beauty of the park and create innovative opportunities for recreation, education, and joy. We work collaboratively with our community and volunteers to ensure a sustainable park that would make Jack London proud. Conduct environmental education programs to connect children to nature and inspire the next generation of conservation stewards. Offer community and special events to build social ties among people of all ages and backgrounds. Restore and maintain this national and state historic landmark to preserve and celebrate our cultural heritage. Engage in conservation projects to restore and maintain the biodiversity of habitat and protect endangered species. Provide outdoor recreation activities for physical, mental and spiritual well-being. JLPP welcomes on average 100,000 visitors to the park annually from around the globe with the help of approximately 320 volunteers who strive to maintain a welcoming and hospitable culture. Contact information and how to stay in touch. 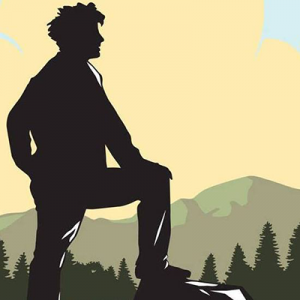 Check out the latest news from Jack London State Historic Park.